I’ll officially be out of the office until December 26th, however I will still receive any messages left on the practice voicemail and be available for treatments if any emergency situations arise. Don’t hesitate to call if you need. Have a merry Christmas!!! Several days ago, I was over at my in-laws’ place for a family gathering. One of their dogs is pretty old… definitely double digits… maybe 14 or 15 years old. My dog, Connor was there too. Connor is young… about a year and a half old. Still much in that puppy phase. Anyways, someone had mentioned the older dog and how she has arthritis. She can’t really play, has a hard time walking, and just has aged joints. I then remembered the study that a mentor of mine was a part of and told me about… looking at arthritis and the incidence in dogs exercised but without supplements, taking glucosamine and chondroitin alone, taking nothing, and dogs exercised taking glucosamine and chondroitin. The results were amazing. None of the exercised dogs actually got arthritis. The best results were from the exercised group who took the supplement, but there was still virtually no incidence of arthritis in the exercised dogs. I began thinking that I should be more intentional with exercising Connor, to prevent him from ending up with arthritis as long as possible. This train of thoughts then led me to…. Wait a minute… I should be exercising more to prevent arthritis in my own life! Don’t get the wrong idea… I am actually very active, but generally only intentionally exercise once or twice a week currently (sometimes more, sometimes less). However, I want and need to be exercising 4-5 days a week. It’s easy to think that next week will be less busy or I’ll start when things calm down, but the kicker is… things NEVER slow down! The only thing that slows down is yourself, when a life of sedentary and poor nutritional choices catch up to you. I’m starting to make a better effort now.. yes… BEFORE New Years resolution time. I hope you do too! 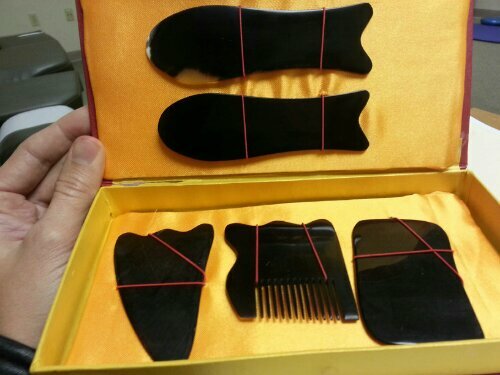 Picked up some gua sha tools for the office. The practice has been up and running for about 3 months now and things have been really going well. I started using a new credit card processor via square. I think that is going to be the most practical processor for now. I’m going to start posting on here more often too, so check back often. This is kind of a test post as its being sent from my phone. It’s been a month now since I’ve started seeing patients at Function 1st and it’s been a tremendous learning experience. I feel refreshed, inspired, and extremely grateful for the support of all my friends, family, and existing patients. The journey continues and I’ll continue to grow personally and professionally to the best of my ability. I’m going to try to get some videos on the site shortly… mostly demonstrations of common exercises I prescribe to patients. Keep a look out for them!